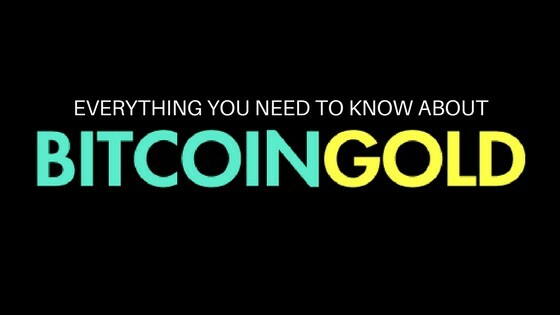 Is Bitcoin Gold going to be a thing? Bitcoin has been the center of attention for the past few days with it suddenly reaching a peak of $6000 and then quickly settling down to $5600–$5700. 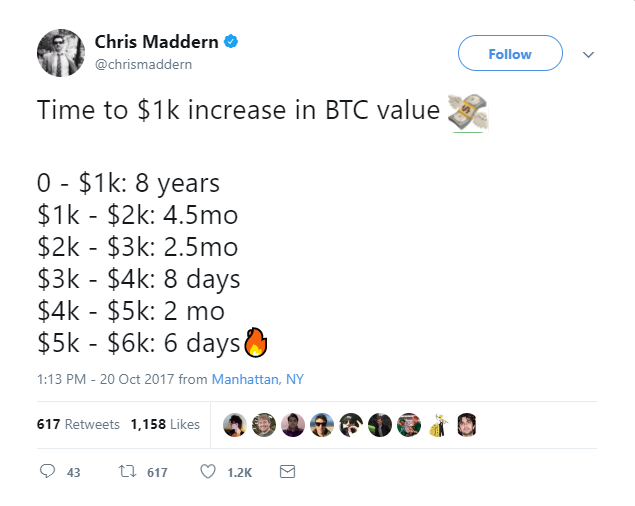 I came across this insightful tweet by Chris Maddern a few days ago showing how much time does it take for the price of bitcoin to cross one frontier after another since its inception. But, why are we seeing such high volatility in Bitcoin market all of a sudden? Turns out this is completely not all of a sudden. This is the market’s reaction to much talked about Bitcoin Hard Fork which came in effect on Block 491,407 on 25 November, 2017. This fork is the first one of two forks scheduled in the months of October and November according to the famous New York agreement which will lead to creation of Bitcoin Gold and Bitcoin 2X respectively. Bitcoin Gold is a move to make the cryptocurrency truly decentralized once again, as its creators believe that larger companies now have too much control over the network. For this to end, the use of powerful mining systems known as application-specific integrated circuits (ASICs) will be prohibited. Taking a leaf out of ZCash’s book, BitcoinGold introduces a modified version of Proof Of Work using Equihash algorithm which makes all the ASIC chips which are produced only by a few companies completely obsolete. This is a huge step in short history of Bitcoin, as Bitcoin mining should never be limited to a particular country(China mines 65% of world’s bitcoins) or a group of companies who are able to produce ASIC chips. All that is great, But what happens to your Bitcoins after this fork? Well, nothing bad happens. You will be provided with same amount of Bitcoin Gold as the amount of Bitcoins you are holding at the time of the fork. Example: If you have 20 BTC, then you will get 20 BTG. How to access this free Bitcoin Gold? Also, If you have BTC in a paper wallet, hardware wallet, multi-signature address, or any other form of secure private key storage, you will be able to claim your corresponding BTG at any time in the future. There is no expiration date for claiming your free BTG. Given the current circumstances, I would say stay put where you are. Don’t go around buying bitcoins in search of bitcoin gold because we are still not sure how the market would respond to second fork that is scheduled in November.